Purchasing airline tickets well in advance is a great way for securing the best air fare. 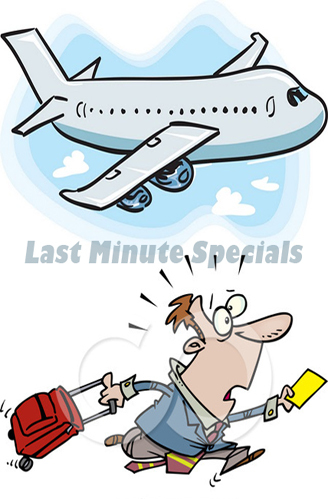 However, sometimes last minute travel plans happen, which can be costly and often times unaffordable for many. That's where IFlyBusiness comes in. Whether you are flying last minute, around the world or to multi-destinations, IFlyBusiness will get you there at a savings of up to 70% off. IFlyBusiness understands how the airline industry works. With constantly changing routes and availability, IFlyBusiness has a proprietary software which tracks other ways to get you the best Business or First Class flights around the world and for cut-rate prices. If you haven't done so already, we recommend signing up for emails. We usually send out special promotions all year around. Even if you are not traveling last minute, IFlyBusiness can still offer lower Discounted Business and First Class Fares. You may also call the office at 1-800-807-9834 to speak directly to an agent. Often times you can get even better last minute options and book the same day. Even if you are traveing last minute, try to keep your travel plans as flexible as possible. You may save more money even if it is one day earlier or later. Sometimes discounted First Class fares are cheaper than Business Class Flights.